I have flown on Norwegian Air many times in economy and premium economy on their long-haul routes. To check out these reviews from 2016 and 2013, you can go here and here. This flight, however, was from Alicante to Munich which was operated by their Spanish based cabin crew and even had it’s own Spanish based inflight menu that isn’t advertised on the Norwegian website. 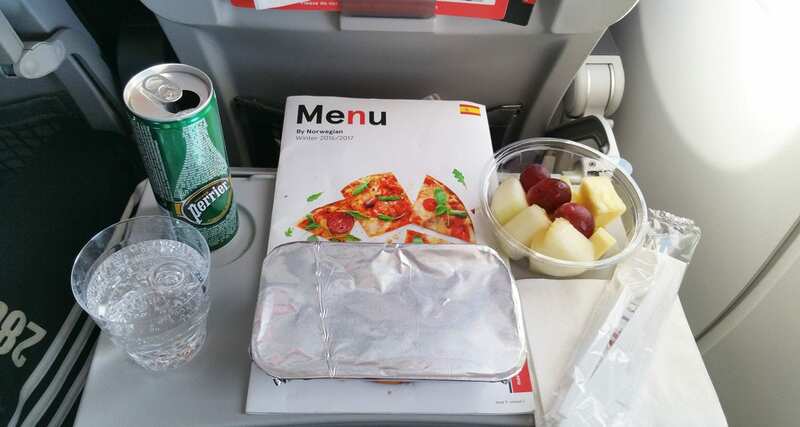 Norwegian offer many different Buy on Board menus across their European bases, I think the options are fantastic and fresh and love the fact that you can buy a hot meal on flights across Europe. Most of the time you have to pre-order…. Once I ordered my meal onboard, it took the cabin crew about 15 minutes to deliver it. 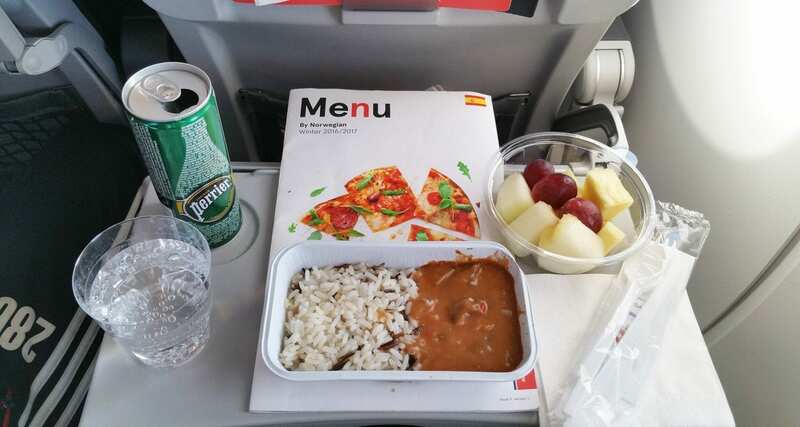 Buy on Board meal: Beef stroganoff with wild rice. While it lacked a little in the presentation department, it made up for it in taste. It was served piping hot, and just the right amount of food too. Total cost €12: €7 for the hot meal, €2 for the water and €3 for the fruit. Not bad for an inflight purchase.